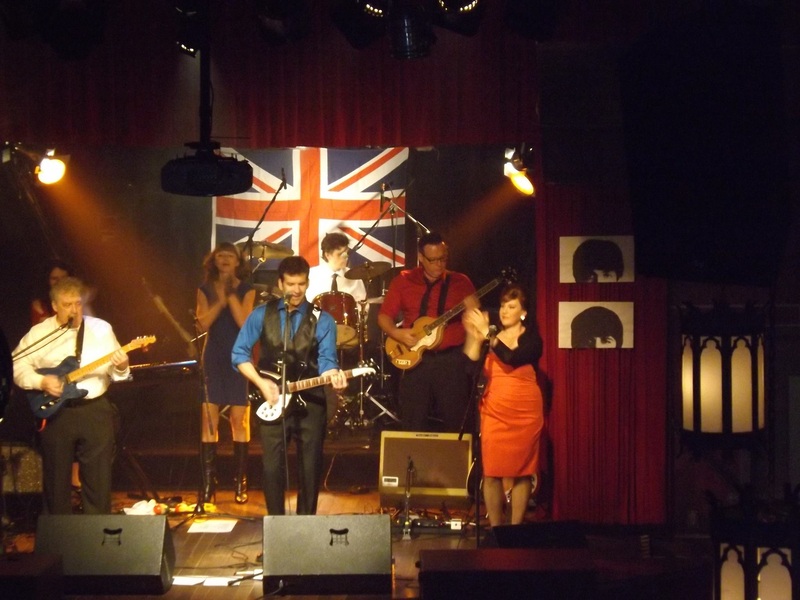 “Beatles ’65” Live in Toronto – Celebrating 50 years of Beatlemania. 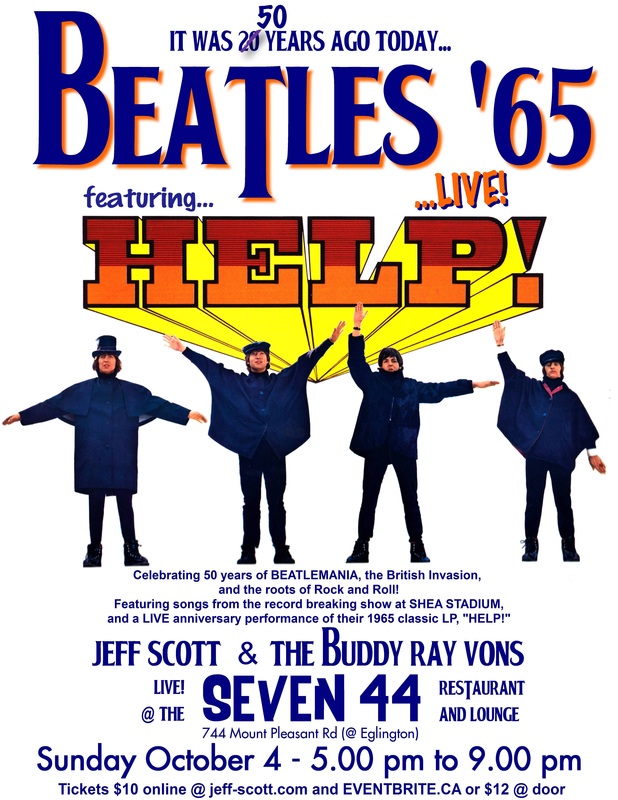 As a special highlight, they’re marking the anniversary of the classic Beatles’ album “HELP!”, released 50 years ago, by playing the whole album top to bottom, note for note! This is a part of a British Iinvasion @ 50 series that they’ve been doing for a couple of years now, marking milestones of the Beatles and the British Invasion. 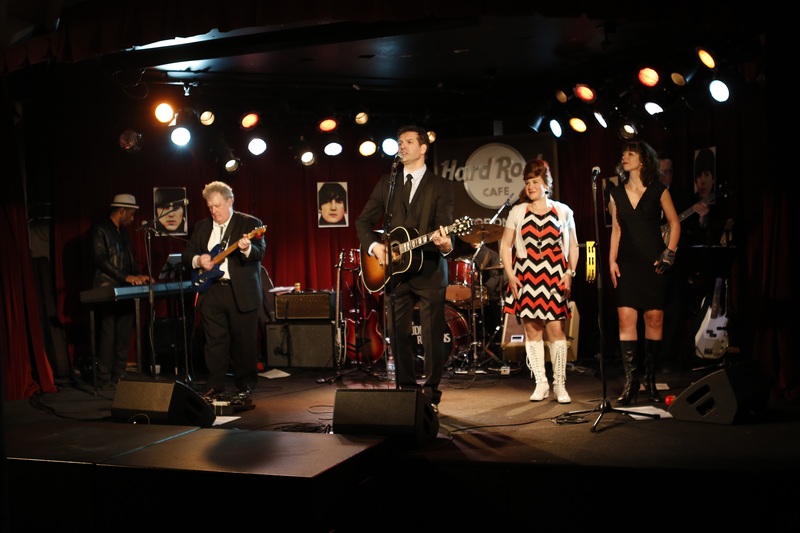 Their last event at the Hard Rock Cafe in January was a smash! They also opened the Orillia Beatles Festival in July. You can find more information on the upcoming event here or at the following website. Just enter BRIT under “enter promotional code” and get an advance ticket for only $8.00 ($2.00 off the regular $10.00 price!). Advance ticket sales also get you 5 raffle tickets for a chance to win copies of the “HELP!” LP and DVD! ← Nick Davies, author of Hack Attack, speaks with CBC’s Gillian Findlay‏.